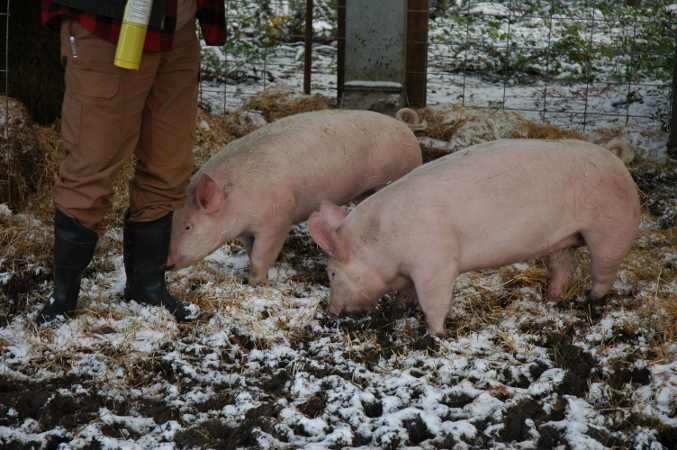 This page logs our progress in raising two pigs from weaner to market weight. The information recorded might be useful to others trying this for the first time. Links to posts, notable events, feed and garden produce consumed, and all fixed costs will be reported. 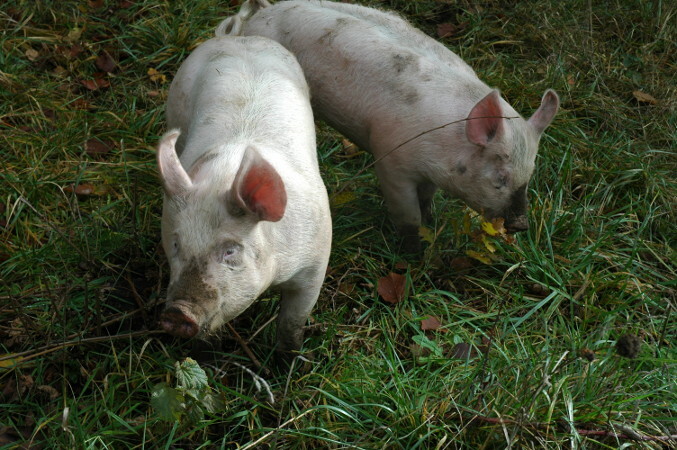 Prices and quantities reflect the total for two pigs. The complete costs summary is partially based on the data logged here. 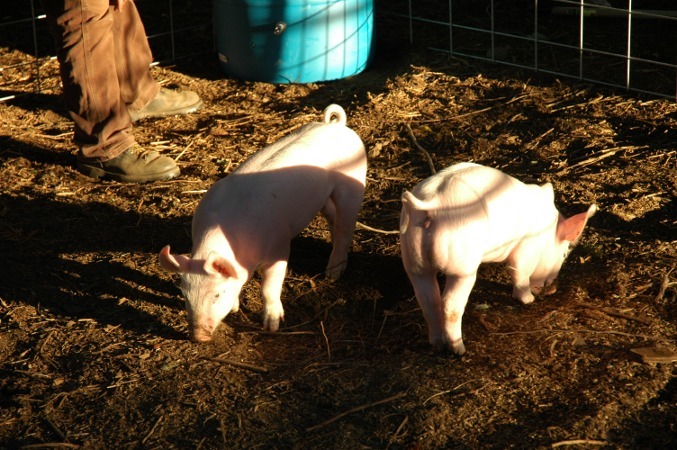 Sept 12: $150 Purchased two 7-week weaner pigs. Some sample food. 1 split cabbage. 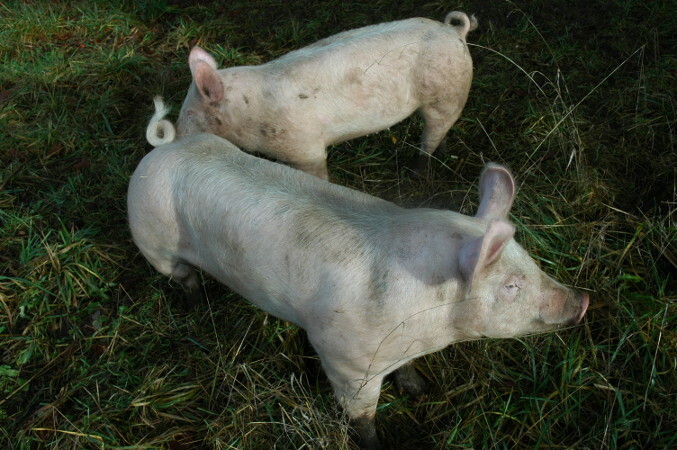 Sept 13: $26.59 Opened 50lb bag pig starter specialty food. 1 apple. 1 large zucchini. Sept 14: Pigs ate 3.7 lbs of food today. 3 carrots. Sept 15: Built a pig shelter. 1 split cabbage. Sept 17: 1 split cabbage. First big rain. Sept 18: 2 yellow crook-neck. Sept 19: 1 large cucumbers. 2 yellow tomatoes. Huge rainstorms. Pen is a muck-pit. Sept 20: Pigs ate 6 lbs of food today. 9 medium tomatoes. Sept 21: $11.50 Opened 50lb bag of grower feed. (Mixing 50/50 with starter feed.) 2 apples. Tomato canning scraps (8 medium tomatoes equivalent). Sept 22: 1 small apple. 15 collard green leaves. 7 large tomatoes. Sept 23: 1 watermelon rind. 2 gourd-like yellow squash. Sept 27: 4 boiled eggs. Carrot tops and ends. Sept 28: 4 boiled eggs. Sept 29: $11.50 Opened 50lb bag of grower feed. 4 boiled eggs. Sept 30: Pigs ate 8.25 lbs of food today. 4 boiled eggs. 1 large bowl tomato scraps. Oct 2: 4 boiled eggs. Oct 3: 4 boiled eggs. 1 large bowl tomato scraps. Oct 4: 1 large bowl tomato scraps. 1 small melon. Bunch of collard greens. Oct 6: 4 eggs. 2 small melons. 1 half of small cabbage. 1 large bowl tomato scraps. Oct 7: $11.50 Opened 50lb bag of grower feed. 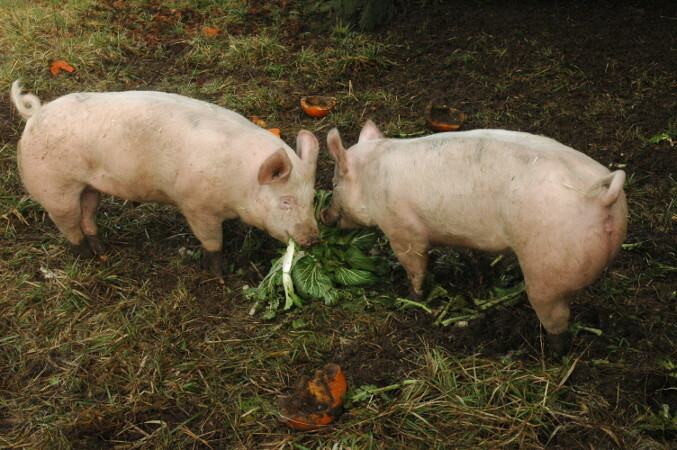 Noticed size difference in pigs. 4 eggs. Oct 8: 4 eggs. 2 small melons. 1 large cucumber. Oct 9: 4 eggs. 2 small melons. Oct 10: Pigs ate 10.5 lbs of food today. 4 eggs. Oct 11: 5 eggs. 3 small melons. 12 bruised roma tomatoes. Oct 12: $11.50 Opened 50lb bag of grower feed. 4 eggs. Oct 14: $11.50 Opened 50lb bag of grower feed. The new gravity-feeder is holding a full bag right now. 20 eggs. 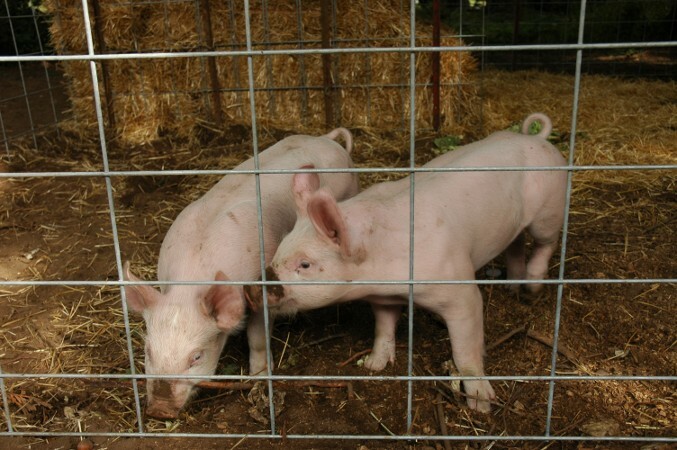 Used to maneuver pigs in newly opened pen. Oct 15: 4 eggs. 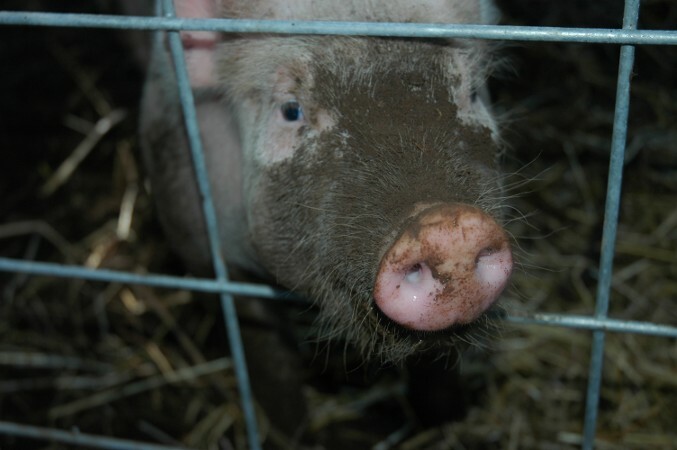 Pigs still afraid to leave pen unless we are there. Took the lid off the feeder so they will investigate it. Oct 17: 6 eggs. Stopped filling the trough feeder. Pigs are slowly warming up to the gravity-feeder. Small baked squash rinds. Oct 19: 4 eggs. Bowl of tomato scraps. Oct 20: 6 eggs. 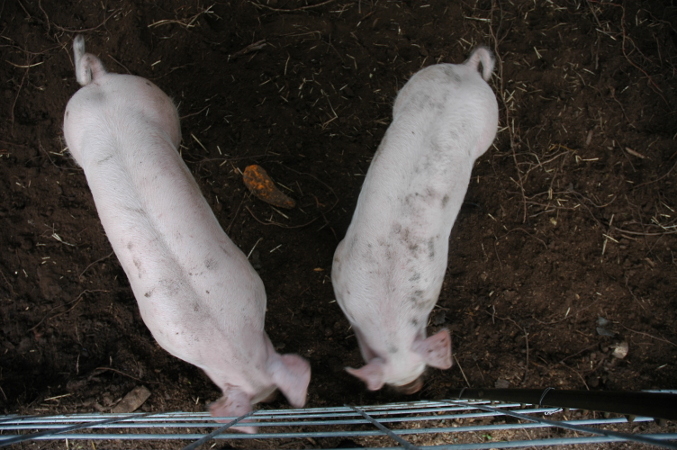 Pigs eating from feeder reliably, but still afraid of the larger pen. Oct 21: $11.50 Refilled with one 50lb bag of grower feed. This is the new starting point for tracking feed consumption by bag. 4 eggs. Oct 22: 1 lb chopped summer squash. Oct 23: 1.5 lbs pureed pumpkin. (Lots of slurping.) 4 eggs. Oct 24: 1.5 lbs pureed pumpkin. 6 eggs. Oct 25: 1 cabbage. 16 collard green leaves. 6 eggs. 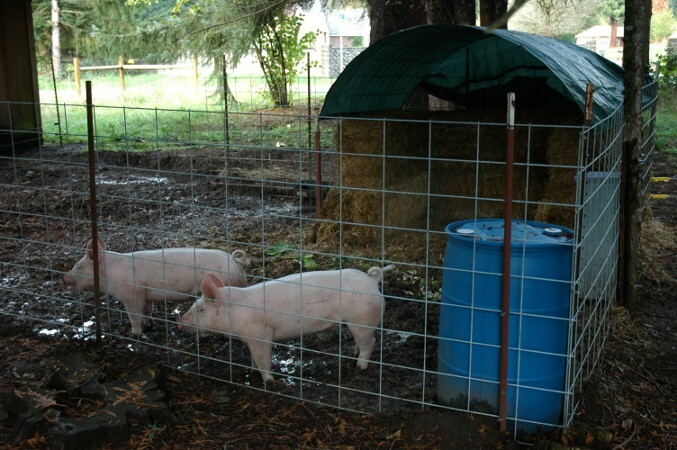 Moved gravity feeder into pen as pigs were scared of the previous location. Nov 2: $11.50. Refilled with one 50lb bag of grower feed. 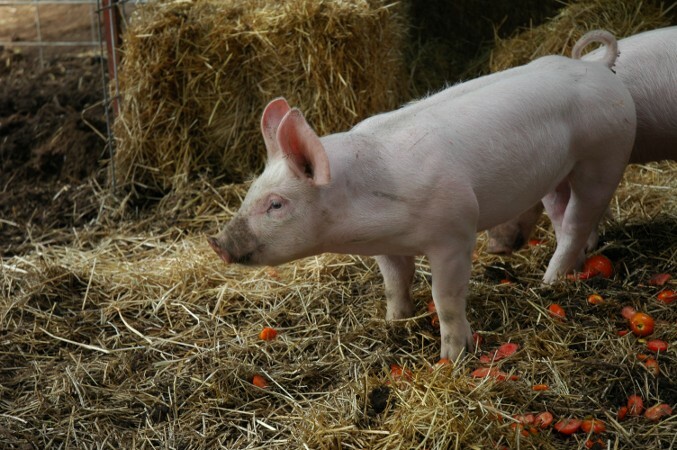 (10lbs/day) Pig intelligence was questioned. 6 eggs. 3 large cucumbers. 3 large squash. 1.5 lbs of baked winter squash. Nov 4: 6 eggs. 2 lbs of baked winter squash. Small serving of cooked spinach. Nov 6: $11.50. Refilled with one 50lb bag of grower feed. (12.5lbs/day) 6 eggs. 2 lbs of baked winter squash. Nov 11: $11.50. Refilled with 50lb bag. (10lbs/day) 6 eggs. Nov 18: 1 banana pink jumbo squash. 8 eggs. Nov 19: $10.50. Refilled with 50lb bag of raiser feed. (12.5lbs/day) New feed is 16% protein feed. 8 eggs. Nov 21: 8 eggs. Left-over inedible corn casserole. Nov 24: $10.50. Refilled with 50lb bag of raiser feed. (10lbs/day) 8 eggs. Nov 29: $10.50. Refilled with 50lb bag of raiser feed. (10lbs/day) 8 eggs. Dec 6: 10 eggs. 1 lb fermented blackberry solids. Dec 7: $10.50. Refilled with 50 lb bag of raiser feed. (12.5lbs/day) 10 eggs. 1 lb fermented blackberry solids. Dec 8: 10 eggs. 2 lbs fermented blackberry solids. Dec 9: 10 eggs. 2 lbs fermented blackberry solids. Dec 10: 11 eggs. Last of the frozen boiled eggs. Jan 14: 3 heads of bok choy.